Kickboxing Classes in are a great way to get in shape and the best time to start is today. Why put on weight over Winter when with a lot of fun and a bit of hard work you can look great in Spring. 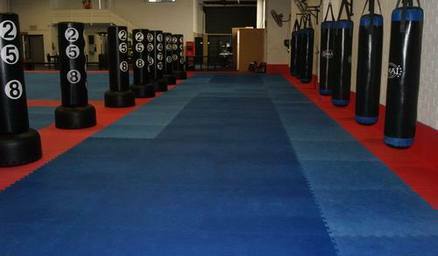 At Guests Martial Arts we have just finished renovating our Kickboxing training area with a full wall of brand new kickboxing bags and towers. We have also expanded our safety matted training area for your comfort and added several new class times for your convenience. 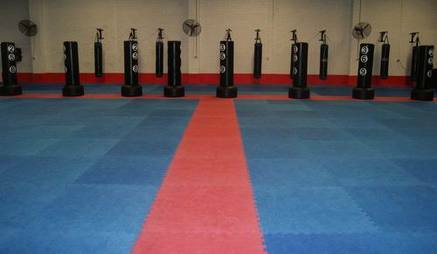 _We have classes for Fitness Kickboxing on from 6:30 till 7:15 Monday, Tuesday, Wednesday and Thursday evenings. We also have classes on Tuesday and Thursday mornings from 11:15 till midday and Saturday afternoons from 12:45 till 1:30. With more time's starting soon,........still not sure? 3) You do have to be ready to give it your all........... it's about effort over time not abilityat the start. We supply all the focus mitts, kickshields and motivation, you supply the sweat. For more information or to arrange a time for your first free trial class simply call reception on 9495 1929 or fill in the form below and we will contact you shortly.